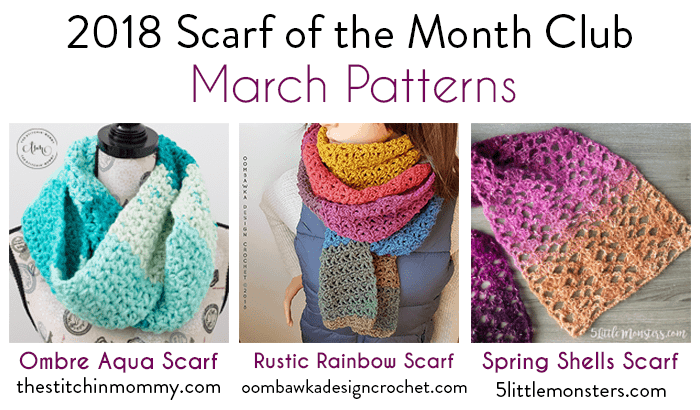 You are here: Home / Free Crochet Patterns / My Free Patterns / Crochet Patterns for Scarves and Cowls / March Scarf of the Month Club 2018 Patterns are Here! The hook used in this post was given to me by Furls. This post includes affiliate links. If you make a purchase after clicking on an affiliate link, I may receive a small commission for the referral at no additional expense to you. Happy March! 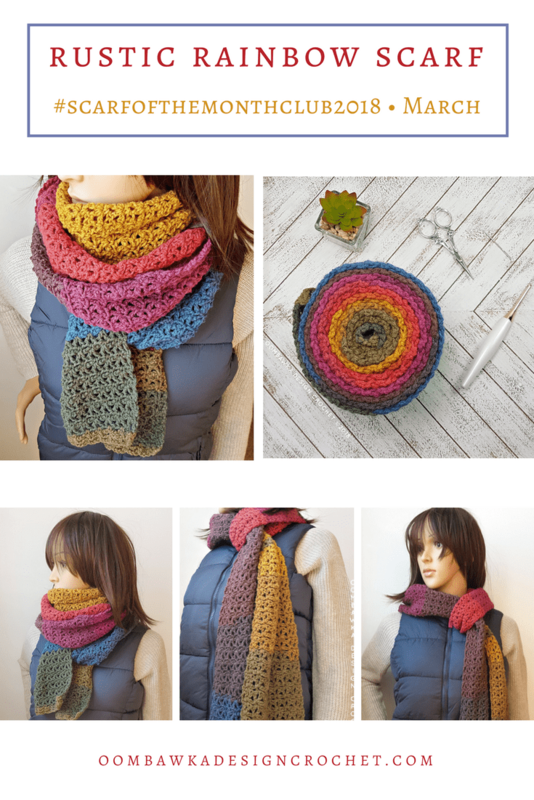 This month we have 3 brand-new crochet scarf patterns for you to try! My March Scarf of the Month Club Pattern uses 1 ball of Mandala Yarn from Lion Brand Yarns and a 5 mm (H) crochet hook. I used my new Furls White and Rose Gold Mandala hook. I’m absolutely smitten with it! Here are your March Scarf of the Month Club Scarves! Make this 1-skein project! 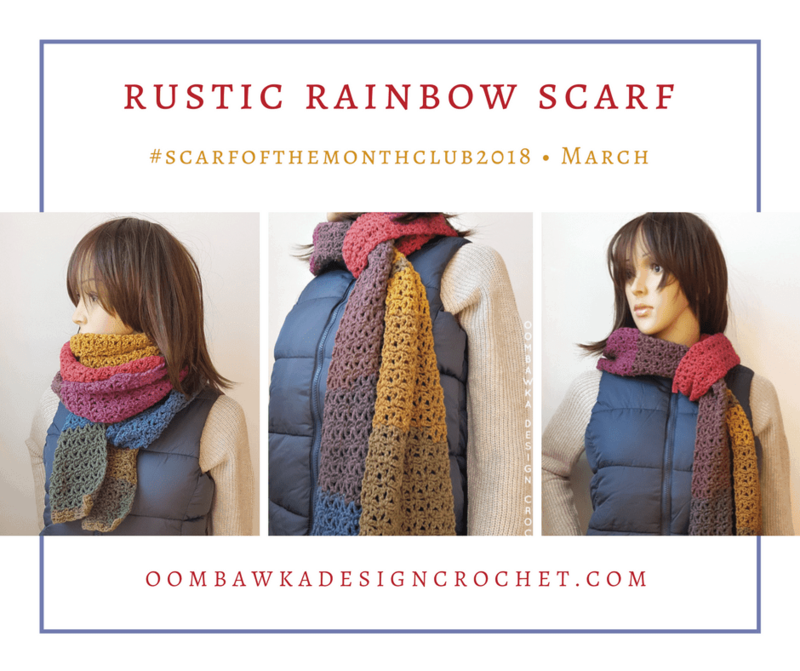 The Rustic Rainbow Scarf is crocheted using 1 ball of Mandala yarn in the color Chimera. This pretty, lacy stitch pattern is very easy to remember and the project is relaxing to crochet. 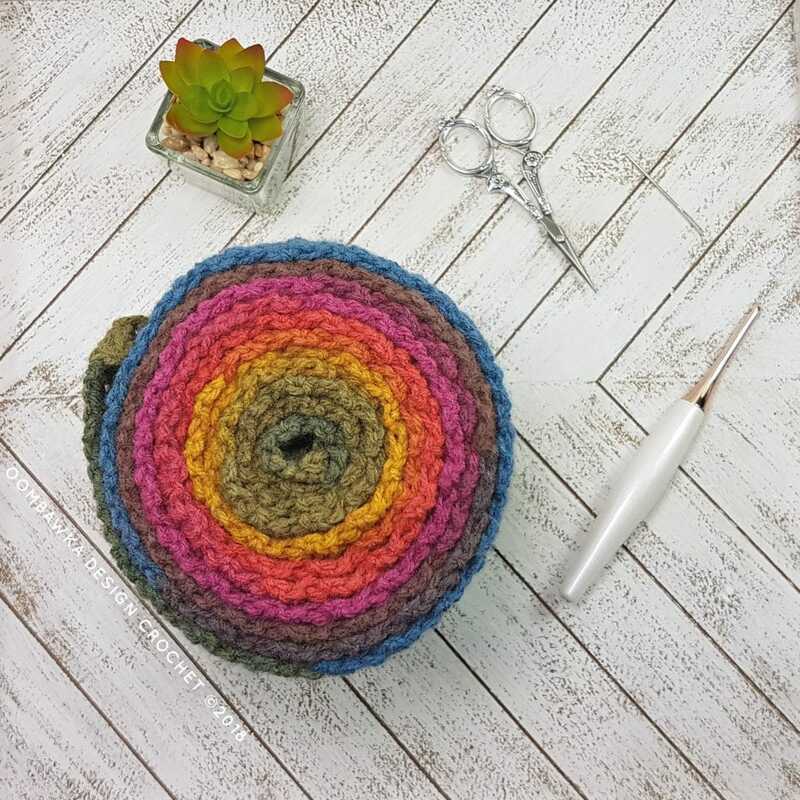 So grab your 5 mm hook and let’s get crocheting! Yarn: Lion Brand Yarns, Mandala. Color: Chimera. Light weight yarn  (150 g / 5.3 oz; 590 yds / 540 m). 100% acrylic yarn. Machine wash and dry. This project is crocheted in rows, back and forth. Finish off with an invisible join and weave in your ends. If you would prefer to see it demonstrated in a video tutorial please see my video >HERE< I’ve linked it to start at the point where I demonstrate the technique. We are going to mimic the finishing edge by adding 2 more rows of R3 to the initial chain row. Please flip your scarf so the WS of the work is showing and rejoin your yarn with a sl st to the first sc. If you are right-handed the wrong side is the side where the initial yarn end is on the right-hand side. If you are left-handed, the initial yarn end will be on your left-hand side.